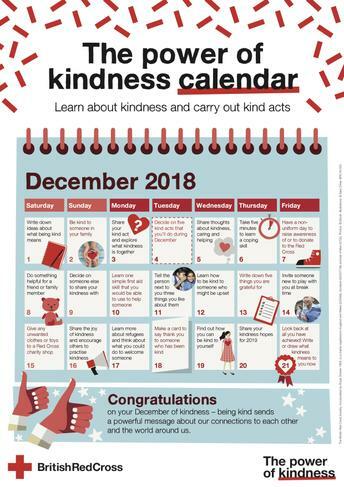 We have been thinking about our school rule 'We are Kind'. The Vision Leaders presented an assembly on the Red Cross Month of Kindness. 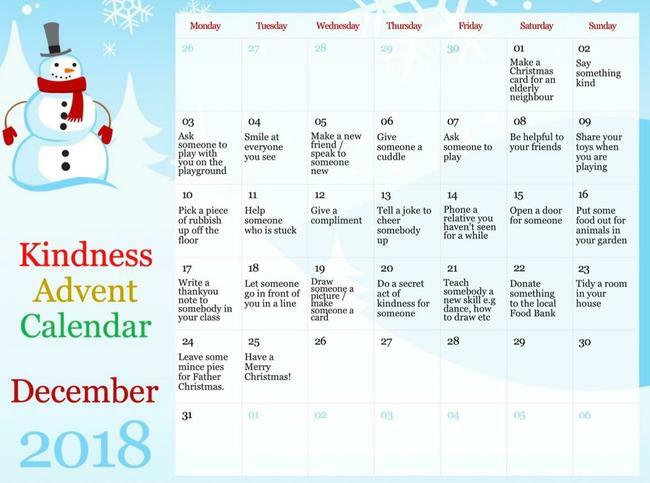 Here is some inspiration of something you can do each day during Advent to encourage kindness all around you.